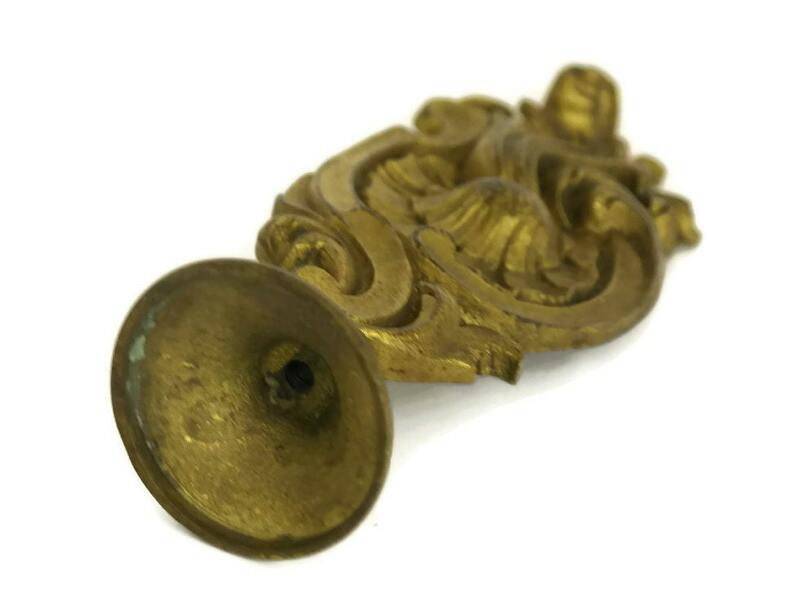 A French antique brass Rococo finial dating to the 19th Century. 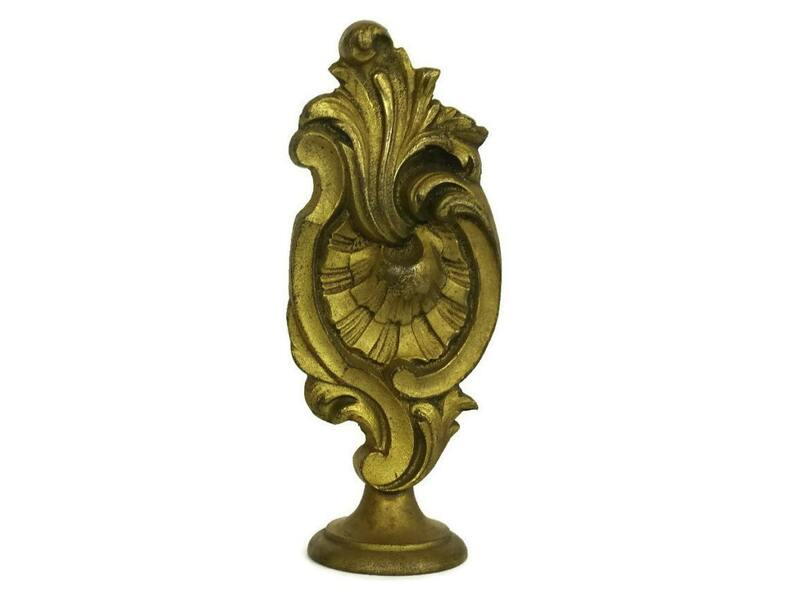 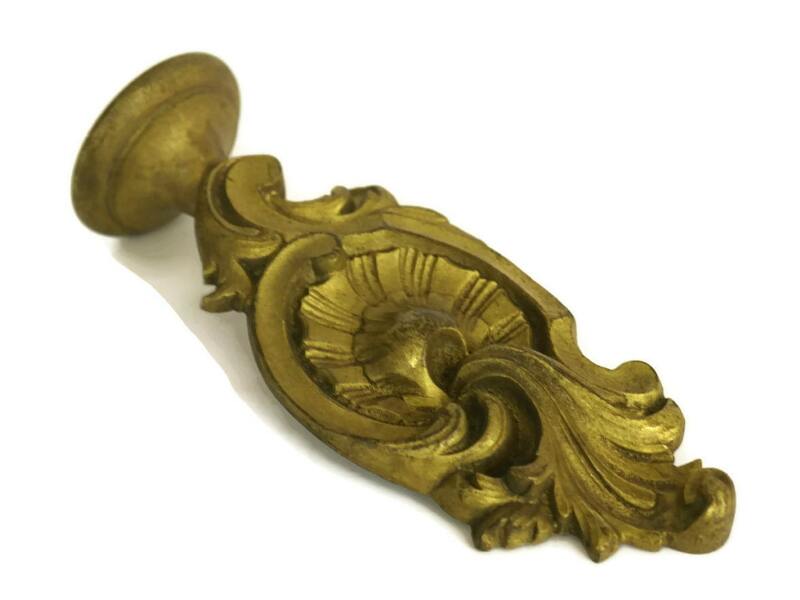 It has been cast from brass and features an ornate rococo design. 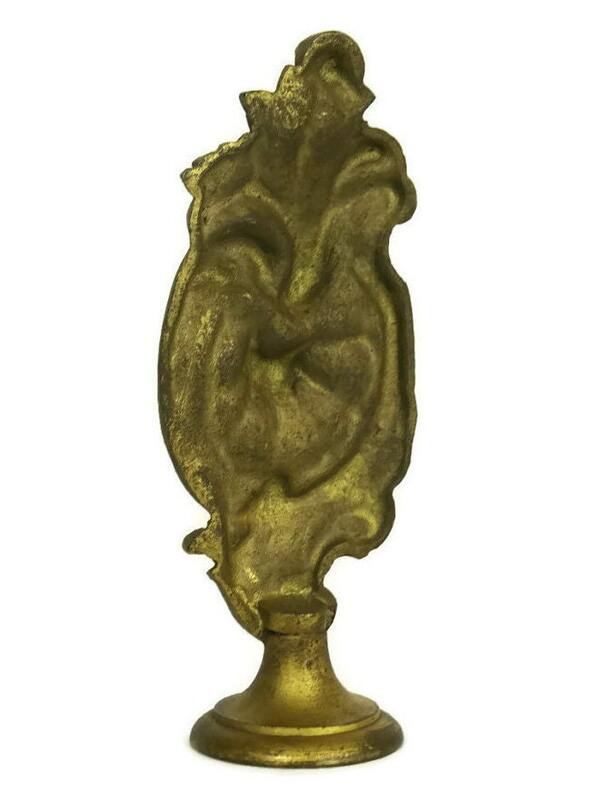 (15 cm x 6 cm). 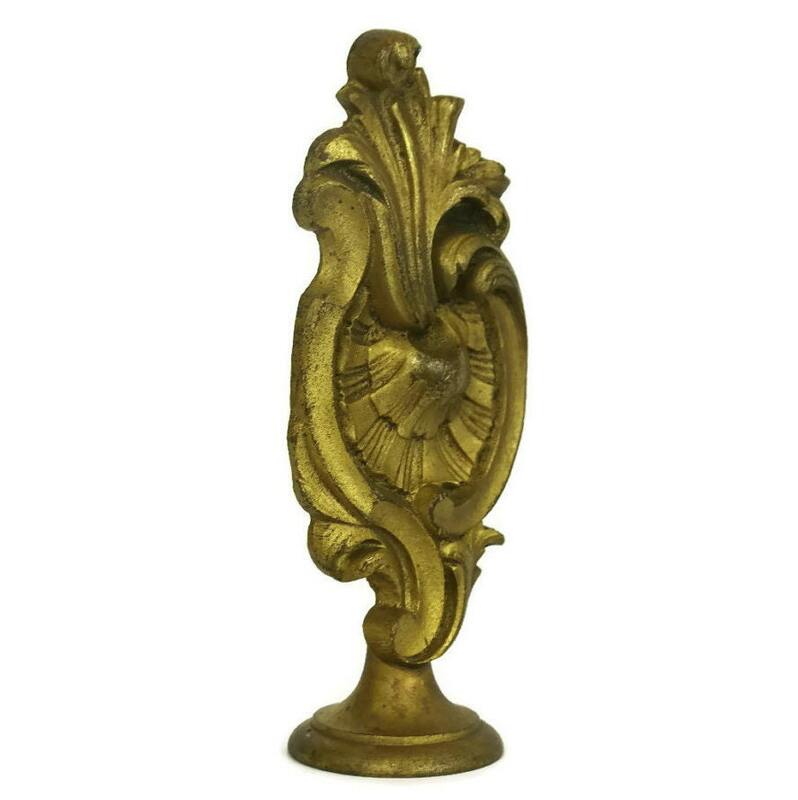 The brass ornament is in good antique condition with an attractive patina and light wear in places.